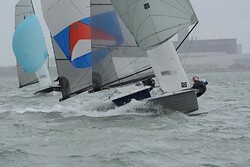 IRC Autumn Championship at HYS Hamble Winter Series? 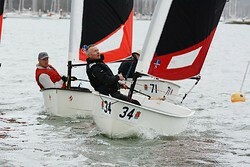 Performance 40's at Autumn IRC Champs. 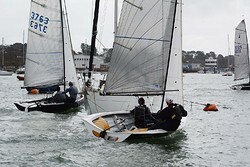 This year Hamble River Sailing Club's Hamble Warming Pan on 9th-10th March is keen to welcome any non-trapeze racing dinghies with a published rating PY between 972 - 1165, as well as the Fireflies, Merlin Rockets, and Foxers. So if you fancy stretching your legs and testing your speed in your favourite boat against other PY entries enter online by Monday 09:00 on 4th March for the discount entry rate, or turn up on the day to enter and race. PY classes with more than seven boats will also get a class start. 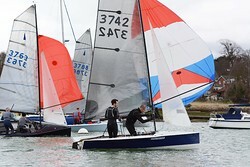 The Notice of Race and online entry are at www.hrsc.org.uk and the first start on Saturday is at 11:30 (briefing at 10:45).